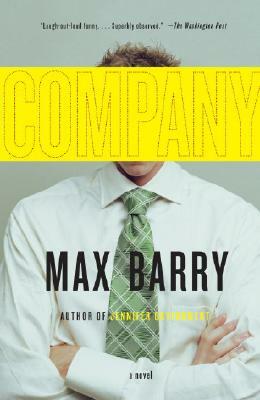 Max Barry began removing parts at an early age. In 1999, he successfully excised a steady job at tech giant HP in order to upgrade to the more compatible alternative of manufacturing fiction. While producing three novels, he developed the online nation simulation game NationStates, as well as contributing to various open source software projects and developing religious views on operating systems. He did not leave the house much. For Machine Man, Max wrote a website to deliver pages of fiction to readers via email and RSS. He lives in Melbourne, Australia, with his wife and two daughters, and is 38 years old. He uses vi.